Yearly tonnes of oil is spilled, and yearly new pipelines are built. 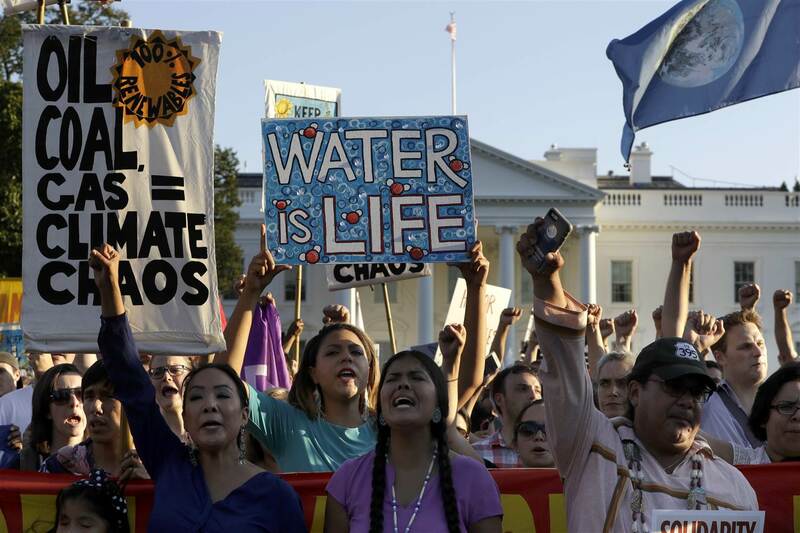 In April, the Dakota Access pipeline had its turn to leak. “The $3.8bn oil pipeline, which sparked international protests last year and is not yet fully operational, spilled 84 gallons of crude oil at a South Dakota pump station, according to government regulators. It is sad that drinking water gets polluted, animals die and sacred ground of indigenous people get torn open. All for the oil pipelines that most people do not even want. It affects so many basic needs, that people are getting tired of these old-fashioned solutions. How to get oil from one point to the other? Maybe they should take the plans off the shelf and wipe the dust off the ones with ‘I’d rather live than make money on oil’. In the map above you can see the oil pipeline spills of five years, from 2010 until 2015.